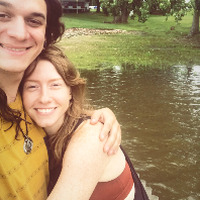 We are a couple from Fort Collins Colorado that are traveling across the US in our solar powered travel trailer. I (Ross) am a musician and I work with a medical and veterinary X-ray company, Chelsea is a yoga and fitness instructor. We are both passionate about traveling and life in general! We are covering the eastern US and will be making our way down to Florida to spend Christmas with family before returning home. We decided to save up our money last year so that we could spend time with family along the way and finally travel across our beautiful country. 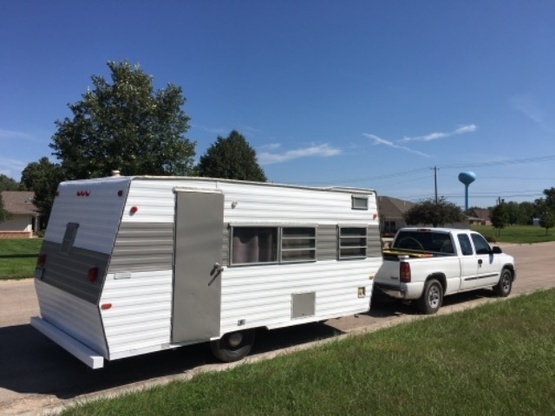 I spent the spring and summer gutting the camper and we have been on the road ever since! We have enjoyed meeting new people and learning along our way and we are excited to meet you! 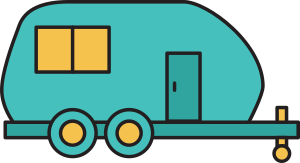 We have two male cats (neutered) that stay in the camper and occasionally take walks on leash. They are good kitties that travel well. Fort Collins Colorado is our home. Renovated 1969 Nomad Skyline travel trailer that is fully solar powered. We are pulling it with a 2011 GMC Sierra. Nice couple, thanks for supporting the hens!! Came in at time expected. Kept in contact re; times / changes. Space was a little tight but worked it out. Very friendly. Lots of cool stories about their travels Wished we would have had more time to visit They have 2 kitties who spend most of their time in the TT ~ walk outdoors on a leash. Would recommend these guests in a heart beat. great couple they had a wonderful time with my son. Very nice couple, was fun getting to know them a bit, hope they stop by again in the future! We enjoyed neverlost,alwayshome's stay with us. They were very pleasant, quiet, congenial guests and are welcome back anytime. We really enjoyed having them as our first guests. The were very courteous and easy to get along with. They needed to stay an extra night which was not a problem. We would gladly host them again. Travel Safe you guys, life is your journey. Ross and Chelsea are an awesome couple; I was glad to be able to host them! Had fun staying in and doing a campfire, drinking local juice, and she can cook up a mess of catfish. They sure are nice and we sure had fun. They are always welcome, and the sheriff even asked them to come again anytime. Neighbor over the fence said to tell them goodbye for him and come back to go fishin' and see alligators. Everyone enjoyed having them visit. We did not have much time to chat since we were literally pulling out of our driveway for a trip ourselves as Ross & Chelsea arrived. They stayed for several nights and we were glad they were able to enjoy the area's many wonderful attributes. We would love to cross paths again with some time to talk travel, solar, and other campfire stuff! Enjoyed meeting Ross and Chelsea and hosting them on their first trip to Canada. Best of luck to them as they continue their camping adventures. They were a pleasure to host, hope we meet up again.